Easy, fast, healthy. Great on a salad. Crunchy without the fat of my beloved nuts. Pretty much a great discovery, thanks to How Sweet Eats. 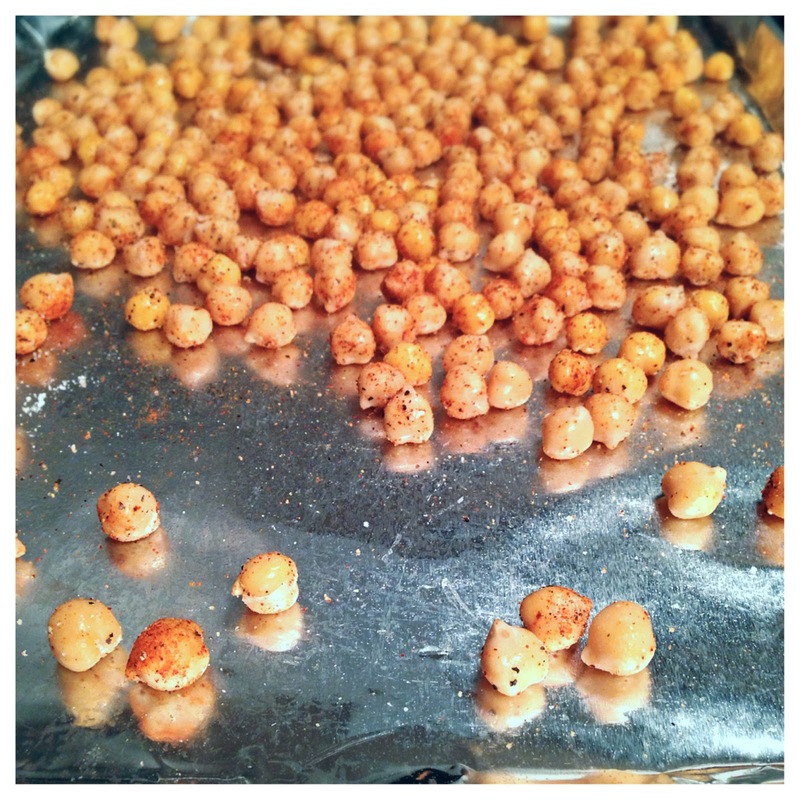 Roasted chickpeas! I used one can of the beans, gave them a good rinse, and thoroughly dried with paper towel. Similar to when you're making sweet potato fries, you want these to be as dry as possible so they can crisp and have enough space between them to roast, not steam. Using a light hand, mist some olive oil on top and get to seasoning. I followed her plan of salt, pepper, smoked paprika, and garlic powder, but you really can't go wrong. I'm looking forward to trying a cinnamon version and a curry spice next week. Bake at 425 for 15 minutes, shake 'em up, and give it another 15. They don't stay crunchy forever (more like two days) so I recommend only eating what you can consume. Make sure you aren't storing them until they've COMPLETELY cooled, or else they'll get soggy.